Welcome to the New Year! The Equity Department would like to start a book club for any staff that wishes to participate. The first two staff members from each building that are interested and fill out the google form below will receive a free book paid through the Equity Dept. 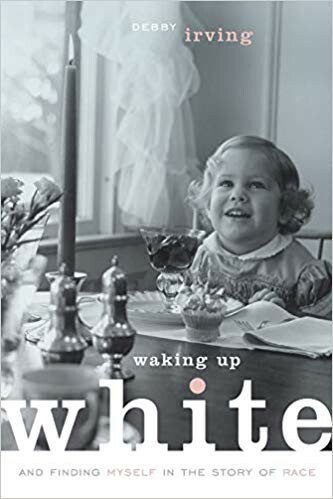 Our first book will be Waking Up White and Finding Myself in the Story of Race by Debbie Irving. Debbie Irving will be presenting to Lakeville on February 18th, 2019 so our goal is to have the book completed by then. Included in the invite is a TED talk by Debbie Irving, an excerpt from the beginning of her book, and educator reviews. We will meet twice face to face and have a continuous online forum on Schoology. We will begin our discussion online on January 14th and end on February 22nd. Face to face meetings will take place on January 22nd and February 12th from 4:15-5:30pm at the Community Education Building. Dinner to conclude after each in-person session (optional)! If you are interested in joining us please reply by January 7th in the google form below so the Equity Department can order the book for you. Equity will provide CEU's. Please complete the Google Form below by Monday, January 7. "Waking Up White is the text I've been waiting for, looking for. I've taught 'multicultural texts' for years and prodded students to identify, describe, and understand different viewpoints in their reading; we also try to identify and examine the lenses each of us brings to the table. Irving's book helps them more naturally carry this academic learning into their own lives. An engaging personal memoir, it invites students to identify with the author. It gives them a model for interior awareness as well as a lens to begin looking at the acculturation of white people and of dominant groups: they begin to "get it" at a deeper level. White students, students of color, American-born, and international students begin Finding THEMSELVES in the Story of Race." See letter from Lark. "As [Irving] notes, it is disappointing that white voices are needed to validate the experiences of people of color, but the fact that Irving consistently echoes the findings of the academic writers in this column is important. So is her ability to capture the issues in pithy language that defies her childhood training to avoid all controversial subjects. I will not soon forget her description of white skin as "an epidermal gold card." In fact, one comment of hers will serve as my prime takeaway from this quarter's reading: "Wanting is not enough. Intent and skill are our swords and shields in the war to dismantle a system with a life of its own."